Healthy Loser Gal: Panic Sets In! Caution: Brain Dump!! Panic Sets In! Caution: Brain Dump!! Oh good lord!! I just tweeted about how Weigh In is tonight and I know I'll be up on the scale as I have been SELF SABOTAGING this week. Why am I doing this? I'm taking my lunch hour to sit here and blog and try to figure it out! I really AM anxious about the Cancer Society 5k walk on Sunday, and I'm trying very hard to not be. I keep trying to stay positive and for the most part I *am* positive that I'll accomplish the 5k without any difficulties but in the back of my mind........ yikes! So here's the down and dirty. On Sunday in upstate NY it may be raining - I just looked at the weather forecast it is actually supposed to be raining and high 60s, so not as bad as predicted earlier in the week. I haven't walked as much as I should have. I haven't hit 3.5 miles yet this week 'cause I have given myself 101 excuses to NOT walk. I was working late, I was too tired, I was not sleeping well enough to go out too early, it is raining... blah blah blah. Last week I felt so awesome when I knew I would be able to walk without the pain of shin splits. Last Friday night I was cruising around the high school track like nobody's business... but then what? Nothing. One mile here... two miles over the weekend... but still no 3.5 miles. To compound matters, one of the other women walkers said on her Facebook profile "Watch out for those Blindbuck* hills - they kill me every night!". Oh just great! She's walking the *course every night and is having trouble with the hills- - what's that gonna do to me?! I'm walking a flat track and haven't hit 3.5 miles yet! And then, of course, is my asthma. Will I be all congested from staying at Mom's and from the weather? Will that affect my walking? I am the only one who can change my own attitude and I think I just have. The sun is streaming in my window here now after clouds most of the morning. I *know* I will walk the 3.5 miles. I *know* I CAN do it. I may struggle - but I am not going to put into my thinking that I *will* struggle. Why will I? I will be surrounded by people I know and care about who are looking forward to seeing me like I'm looking forward to seeing them. How cool is that? I have been losing weight and looking and feeling better than I have in years and I'm walking this 5k to CELEBRATE that - to celebrate how far I have come in this past half year. 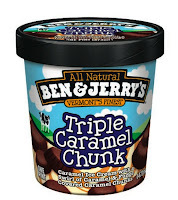 I ate a whole pint of Ben & Jerry's ice cream after dinner last night. I had to buy it at the grocery store while shopping first, of course. And then I ate it. My son should feel lucky I didn't eat the pint I bought for him to have. I was in that mind-set. But, you know what - I'm allowed to slip up, too. And... 'allowed' or not - I did slip - but I've regained my footing. 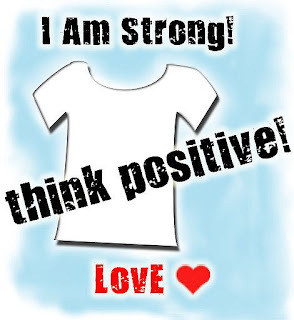 Heck, I've regained my positive atttitude which is the core of who I am. I'm back to me. Phew. 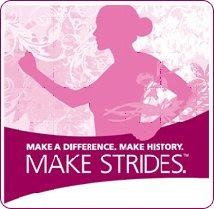 I'm gonna rock that 5k and raise a ton of money for the American Cancer Society! Mandy! :) Your comment just made me get tears in my eyes! :) Thanks for being a good weight loss friend who is on the journey with me! hugs! Coming to terms with my own tendency to self sabatoge was so hard, but so healing at the same time. You can do this all the way!! I lost 150 pounds and it was the best thing I ever did! Found you through Twitter. . .
Oh honey! Okay, you did it, but look where you are right now? You are looking at the good side. You are motivated! You believe in yourself, yes you may doubt yourself and yes you may self sabotage but at the core you believe in yourself. I can't wait to hear how the walk goes! Thanks so much for your honesty. I too was struggling the last few weeks with self sabotaging efforts and (not that I'm happy anyone else faces the problem) it's comforting to know I'm not the only one. You're gonna do great on your walk! Good luck! I'll be virtually cheering you on! HLG - it was a blip. And it was also fleeting. I agree with Paula - you inspire others with your sunny optimism, honesty and determination. If it was always easy, we'd never be one pound out of our skinny jeans. Can't wait to hear all about your successful weekend! Hi, HLG! Thank you for sharing what's in your heart with us. 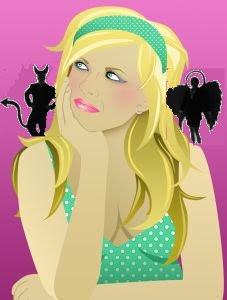 Like you, I initially experience those behaviors that seem to set me back as frustrating and at times baffling. What's so fantastic about what you're sharing is that you're acknowledging that a slip here and there is normal (see "Changing for Good" for the actual data) and that the real work is about recognizing it's happening and then finding a way to move on. You're doing just that! Thanks for your gentle honesty. Don't know about you or the readers of the blog, but I've found it helpful to acknowledge the part of me that's driving the seemingly contradictory behavior by asking what it's wanting to do for me? The assumption is that that we're all on the same team. Often, just by taking the time to ask, listen, and acknowledge the part, I find that it's trying to protect or remind me of something that I'm not consciously aware of. When I receive that message, write it down, and ponder it, I begin to have more choice about how I behave. It's like all of me now as a chance to participate in my success! Have you tried that before? Best wishes on your walk -- all of your parts! You go, gal! I just want to tell you all - each of you- how much I truly appreciate your support and advice and help thru this weightloss & the getting healthy journey I'm on. Tom, I hadn't thought of considering what lesson I could learn from my 'parts' but I'll ponder that when the next slip inevitably befalls me! (I'm a great ponderer, I can tell you!). Thank you. Sunday at the Breast Cancer walk, I'll be thinking of you all. I mean that. I don't have a big support system in my "reach out and touch" daily life but I have an incredibly awesome support system in all of you!